Bartow, FL is appropriately named the “City of Oaks and Azaleas.” Century-old oaks adorned with Spanish moss line the streets of Victorian homes and quaint bungalows. It truly is one of America’s best small towns. We invite you to come experience what we hold so dear. Join us as we remember the past, live for today and dream for tomorrow. The most accurate, updated home searches—powered by the MLS. Access the same property information used by REALTORS®! Membership is composed of residential and commercial REALTORS®, who are brokers, salespeople, property managers, appraisers, counselors and others engaged in all aspects of the real estate industry. 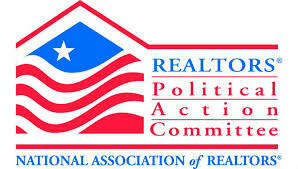 Florida Realtors® is the largest trade association in the state with more than 127,000 members. Florida is the 27th State, but it’s #1 to us. 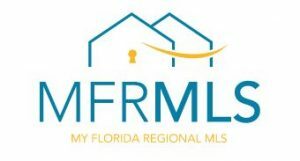 State27Homes.com is brought directly to you by the many thousands of Florida real estate agents who subscribe to Florida’s largest multiple listing service, My Florida Regional MLS (MFRMLS). Membership in the Bartow Chamber of Commerce gives your business added credibility, viability and marketability. The Bartow Chamber carries a long history of organizing and facilitating important community initiatives that contribute positively to the area’s quality of life and its marketability as a place to conduct business. More than 94,000 students are enrolled, with a diverse student body. The district is the largest employer in Polk County with over 13,000 employees. More than half of those are employed as teachers. To provide our county with accurate and equitable assessments. We are working hard to gain your confidence and to provide you with accurate information, excellent customer service, and the efficient use of public funds. The Polk County Historical Museum opened its doors on September 19, 1998, in the Old Polk County Courthouse, located in downtown Bartow. The Museum serves the Polk County Community through special events, volunteer opportunities, and educational programs. The Museum’s exhibits and programs continue to grow and change as new information and artifacts become available. To lead the collaborative economic development efforts of the Polk Technology Region by promoting and growing an economy based on high-skill, high-wage sustainable and evolutionary businesses. The Central Florida Development Council (CFDC) has been designated by the Polk County Board of County Commissioners as its primary economic development organization. With a population of more than 17,000, Bartow remains the county seat of one of Florida’s geographically largest counties–Polk County has more than 585,000 residents. The city now called Bartow was founded in October 1851 as Fort Blount, a stockade established by Redding Blount and his family. In the 1850’s, the first permanent new settlers came to the area near the dead-waters of the “Peas River” (or Peace River) and established Fort Blount. Located in Central Florida, Fort Meade is the kind of town that still maintains the character and charm of living in a place where everybody really does know your name. Spend a few minutes talking to the locals and you’ll find that the personality of Fort Meade draws you back to a simpler, friendly time…a time when families and friends gathered together to enjoy barbeques at each other’s homes. Explore this area and find information and services on elected officials, county news, county departments, and many more! Polk County is strategically located in the center of the Florida peninsula, about equal distance from the east and west coast and half way between the Georgia-Florida border and the Southern tip of the peninsula. Polk County offers over 60 facilities for parks and recreational activities. Polk County offers over 60 facilities for parks and recreational activities including boat launching sites, sports, camping, picnicking, walking paths and trails, and various youth leagues. Originally founded in 1897, the early reading room finally became a Carnegie Grant library in 1915. Our library, pictured here, has become a popular center of activity in the community with wonderful art displays, crafts exhibits and demonstrations, story telling, reading classes, computer classes, and much more. The largest LEGOLAND Park in the world, it features more than 50 rides, shows, and attractions, restaurants, shopping, a breathtaking botanical garden and the all-new LEGOLAND Water Park. Streamsong Golf Resort and Spa – A feast for the senses, a haven for the soul, setting a new standard for luxury golf resorts in Florida. A resort where golf is both a quest for perfection and an art form. A retreat that is the ultimate escape for relaxation, enrichment and rejuvenation. A place where the surrounding ecosystems are as deeply valued as the time you’ll spend with us. The Florida Flywheelers Antique Engine Club is a non-profit organization, founded in 1972, to promote interest in restoring, preserving and exhibiting antique internal combustion engines, steam engines, antique tractors and autos and other labor saving devices from the by-gone years. One of the goals of the Florida Flywheelers is to be involved in giving back to the local community with our Christmas in the Village in December and the supporting of the local FFA Tractor Restoration Teams. Our mission is to preserve the past for the future.